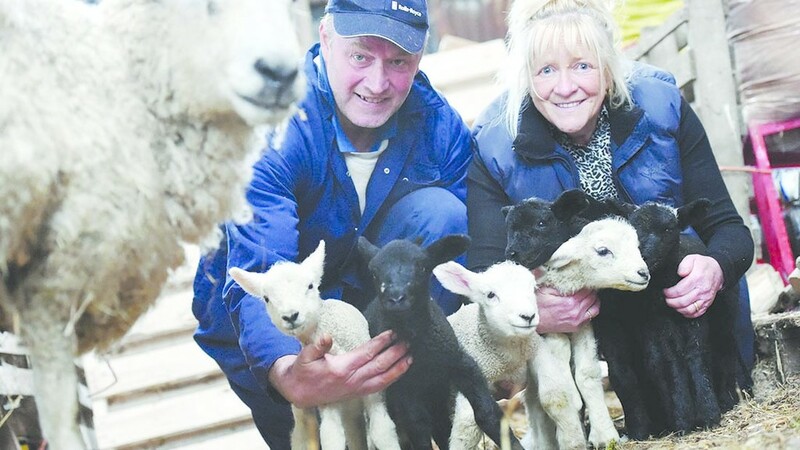 Sheep farmer Raymond Brindley got the surprise of his life when one of his Texel-cross ewes delivered sextuplets at the weekend. Mr Brindley said the ewe on his Derbyshire farm was heavy in-lamb but despite presuming triplets, did not think he would get two sets. He said: “She had two lambs early Sunday morning, then I brought her inside and delivered another three. The three white and three black lambs are ‘all healthy and lively’ with the ewe looking after four, one by another ewe and the family bottle-feeding the smallest. “We have never had this before - we have had quite a few quads but never sextuplets,” Mr Brindley added. Mr Brindley’s grandchildren named their bottle-fed lamb AJ, after Anthony Joshua, the ‘not-so-little boxer’. 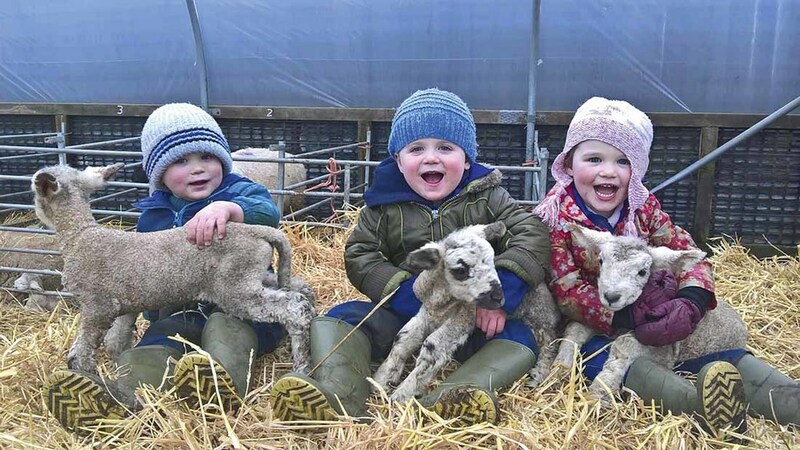 Tripets run in the family for one farmer as a picture of her three-year-old triplets alongside two-day-old triplet lambs was an internet sensation. Harry, Harley and Isabella spend their time helping mum and dad, Michael and Serena Colwill, on their 28 ha (70 acre) Devon County Council starter farm in Holsworthy, Devon, farming 150 ewes and 90 Bullocks.